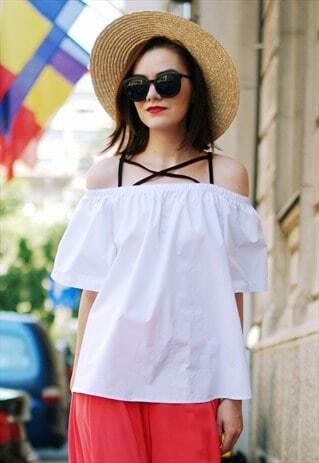 Bring the heat in this super hot white top featuring cross straps with cold shoulder design. Length: 62cm. Bust: 132cm. Sleeve length: 24cm. One Size - Fits UK Size 6-10. Photos from Andreea Birsan on http://couturezilla.com.